Place apple slices in 2-quart microwavable casserole or large microwavable bowl. Stir in water, sugar and cinnamon. Cover and microwave on High 5 minutes. Uncover and microwave about 5 minutes longer or until apples are tender when pierced with fork. 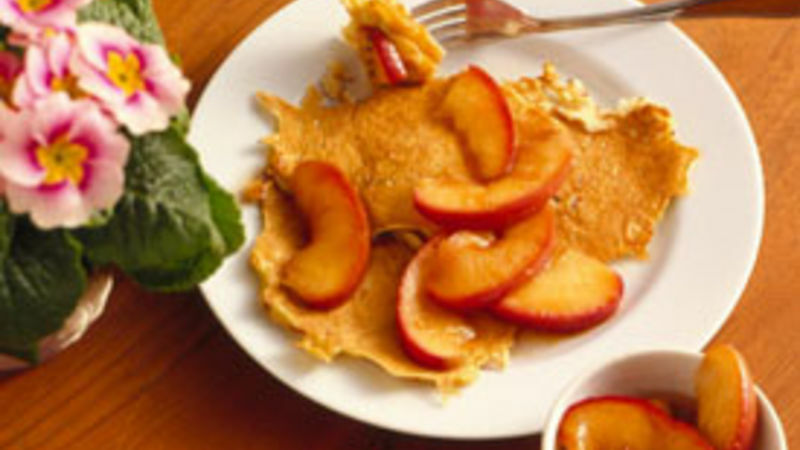 "These apples are so easy to make and very tasty served with pancakes, waffles or biscuits. I sometimes blend the apples after cooking to make applesauce." A twist on homemade applesauce, these apples offer a big cinnamon taste. If you prefer, remove the peel. For variety, try adding 1/4 teaspoon ground nutmeg and 1/4 teaspoon ground cloves in addition to the cinnamon and enjoy this recipe as a snack or dessert. Sometimes you need a super quick and easy dessert for those busy weeknights and last-minute get-togethers. These cinnamon apples will only take you 15 minutes to make and require just four pantry-staple ingredients. Make sure to pick out a tart cooking apple, like a Granny Smith or Braeburn, for the best results. If you’re new to baking with apples or just want some extra tips, check out all of Betty’s advice on cooking with apples. Then, put your knowledge to the test with all of these delicious apple recipes! Because there’s always an occasion for a sweet apple dessert.